The Eternity Glass Clock Award. Measuring 130mm high, solid crystal clock. 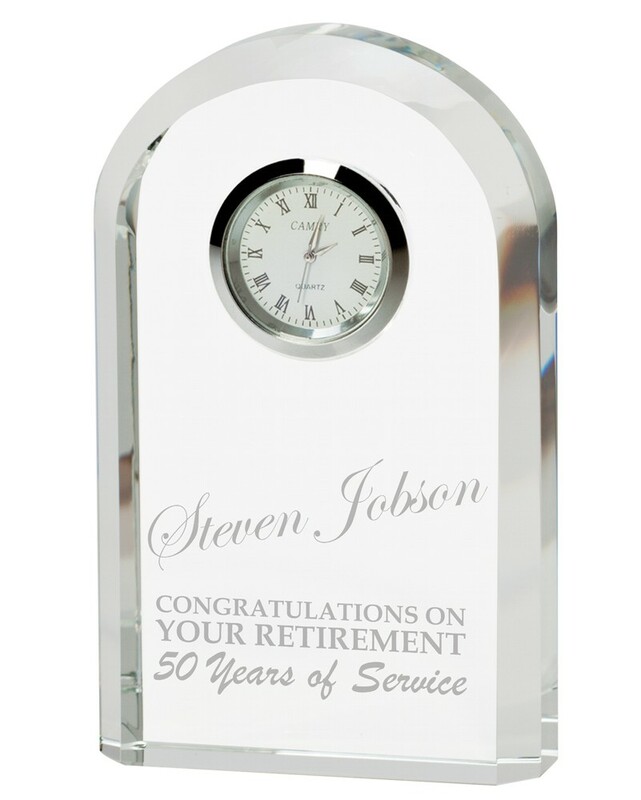 Engraved with your logo or just have text. For your own customised logo there is a one off set up fee of £10. The price includes text engraving on the glass.